In northeast Oregon there is a beautiful area called Eagle Cap Wilderness in the Wallowa Mountains. This area has high alpine lakes and meadows and draws many visitors to its printine landscape. 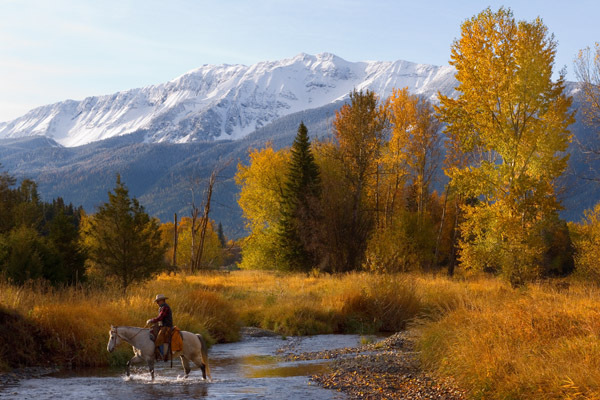 This lone rider and his horse enjoy a pleasant journey through one of the picturesque valleys.